Berkeley Playhouse presents one of the most groundbreaking and romantic musicals ever written. "West Side Story" resets Shakespeare’s Romeo and Juliet to the 1950s and the turbulent and passionate streets of New York’s West Side. Tony is a dreamer, ready to leave his street gang behind and face the future head-on; Maria is idealistic and looking to explore womanhood and the world beyond her family’s dress shop. When the two meet, their worlds stop—and cultural divides and societal expectations give way to star-crossed love. Featuring one of the most exciting scores ever written for the stage, and a story that tackles topics of prejudice, street violence, and the need for compassion between communities, this Berkeley Playhouse premiere will rumble in your heart long after the final note is sung. Berkeley Playhouse and TodayTix are thrilled to bring you $15 Rush tickets to "West Side Story!" Every performance day, on a first-come, first-served basis, a limited number of $15 Rush tickets will be made available. To unlock this feature, Berkeley Playhouse simply requests that you spread the word on social media through our app. Company may offer programs whereby the Company would make available certain features of the Services when you share information about the Services through an SNS or click on the “Unlock without sharing” button in the Application. 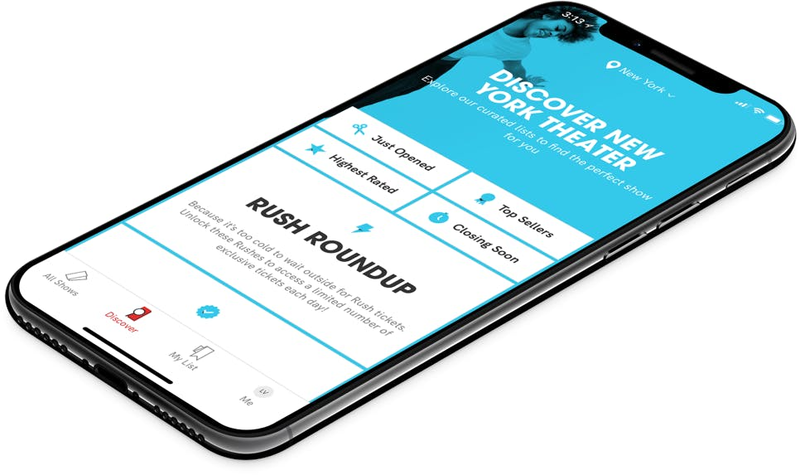 When you are considering purchasing a ticket for a specific show or after you purchase a ticket, if you select the “Share” button in the Application, Company will make available to you a personalized link to a Digital Property with text stating, for example, “Check out West Side Story on TodayTix! I’m thinking of going…” or something similar, which you may choose to share with your friends via SNS. Once you have shared the personalized link through an SNS using the Application or selected the “Unlock without sharing” button in the Application, Company will make available to you the RUSH feature, which will provide you with otherwise unavailable offers for tickets to live events occurring in the next week. The opportunity to take advantage of these offers is only available to users who share a personalized link to an SNS through the Application or select the “Unlock without sharing” button in the Application.